This week of five special themed articles has reached its conclusion, and with it comes my five most wanted Nintendo 3DS games for 2013. The System of the Year 2012 seems to be just as hot for 2013. Come take a look at these five titles and you'll find out for yourself why. Pokemon as a series stayed tried and true to its roots, even on more powerful hardware like the Nintendo DS. 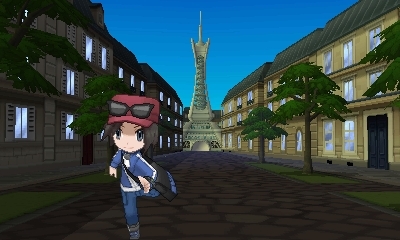 However, now on the 3DS, the series is finally "evolving" with Pokemon X and Y. This pair of 3DS titles due out worldwide in October will feature full-fledged three-dimensional graphics-- battles, environments, characters, etc. Even with the short announcement trailer (as seen right here), Poke-fanatics across the globe are salivating at all of the possibilities the new dimension adds to the series. As someone who started to grow tired of the franchise, it's lovely to see Pokemon try something new and truly advance itself. After the extremely safe Animal Crossing: City Folk, Nintendo is shaking things up in a big way for Animal Crossing: New Leaf. Now the player assumes the role of the mayor, a role ole' Tortimer vacated. 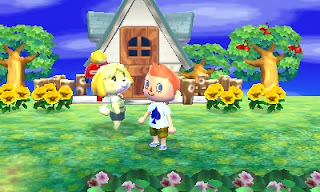 Mass customization is the name of New Leaf's game, allowing the player to place landmarks around their town, create patterns for furniture, renovate their home, wear more detailed clothing (in the previous games only shirts and hats were able to be customized), and much more. 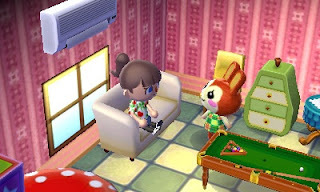 New Leaf is without a doubt my most anticipated Nintendo 3DS game for 2013, and it cannot come out soon enough. 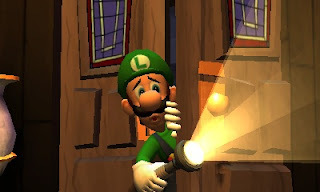 The original Luigi's Mansion was a launch game for the Nintendo GameCube back in 2001. Now, Luigi is once again getting a game of his own to star in with the follow-up, Luigi's Mansion: Dark Moon. This time around the cowardly plumber isn't just visiting one mansion-- he's visiting several. Each mansion contains different themes, enemies, and puzzles for Luigi and the player to solve. 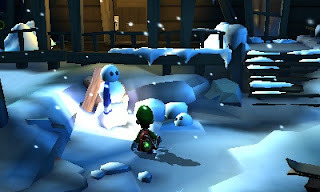 Shigeru Miyamoto has stated that Dark Moon is to possess more puzzles than the original GameCube game. Bring it on, Nintendo, as I'm sure there are plenty of 3DS owners ready to test their mental matter while experiencing some fun, E-rated scares. 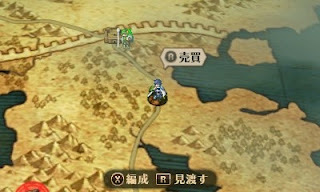 Nintendo's first foray with DLC on the 3DS in Japan, Fire Emblem: Awakening is the latest in the long-running strategy RPG series. 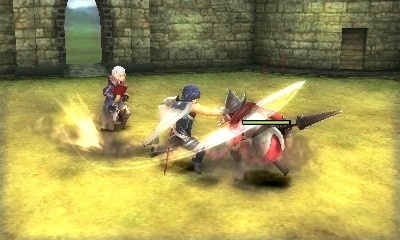 Awakening brings with it new concepts, such as the aforementioned DLC, but there's also other things as well. I'm alluding to things like being able to create your own character to great depth, a more intricate class and job system, and much more. The February 4 release date for Fire Emblem: Awakening is less than a month away, but it seems so far away, doesn't it? ...Especially for our European pals. The Castlevania series returns to its 2D roots with the long-winded title of Castlevania: Lords of Shadow - Mirror of Fate, a Nintendo 3DS exclusive. 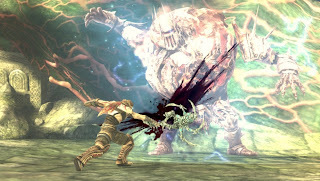 The March 2013 release game will feature multiple playable characters, including Trevor Belmont, Simon Belmont, and Alucard. Unlike the previous 2D entries in the franchise, Castlevania: Lords of Shadow - Mirror of Fate has earned itself an M for Mature rating by the ESRB. Whether that affects sales in any way is up in the air, or whether or not the lack of longtime 2D Castlevania producer Koji Igarashi will harm or help the game in any way either. 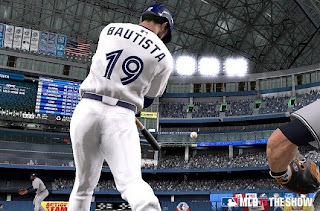 The end of our look at what currently announced games for 2013 excite me most has come. I hope you enjoyed seeing the top titles that have me quivering in my boots with anticipation. Next week will be the third week in a row that is special. We will have five reviews in five days. I hope you look forward to that! See you then! It's not really fair to call the PlayStation Vita's 2013 lineup weak as we don't know the whole story for the rest of the year. For the titles currently known, an argument could easily be made. Despite this, I have found five games that I am looking forward to seeing this coming year. If you're into Monster Hunter-like games, then this first game on my list of most wanted Vita titles is something you should look into. 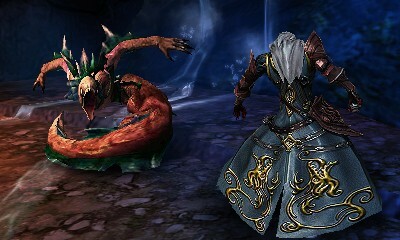 It is Soul Sacrifice, an idea crafted by Keiji Inafune, the creator of Mega Man and developed by Marvelous AQL. 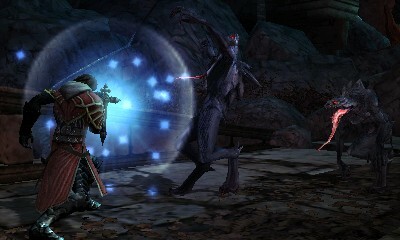 The "sacrifice" part of the title alludes to giving up parts of a player character's body to unleash bolder attacks on the various bosses of the game. Soul Sacrifice promises up to four players able to work together to take down foes. Here's hoping there's no "sacrifices" to be made to make that happen. 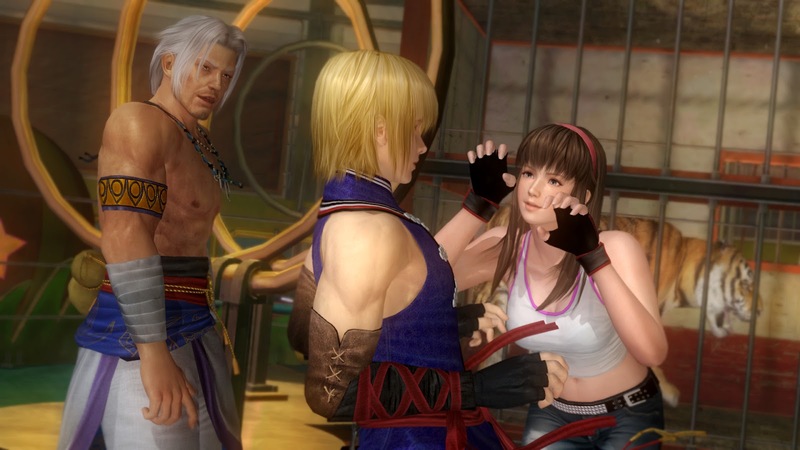 This Vita-exclusive version of last year's Dead or Alive 5 might be late to the party, but it comes packed with new features. I am referring to a first-person fighting mode, touch-based moves, and some new controls when it concerns training mode. 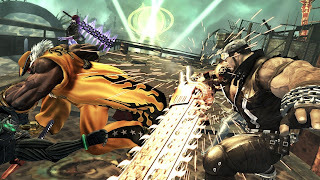 Dead or Alive 5 delighted home console players when it released this past fall, so if you enjoyed it or never got the chance to play it and you own a Vita, perhaps Dead or Alive 5 Plus is a worthy purchase. I like seeing aging series try new things, even when they don't always work out. 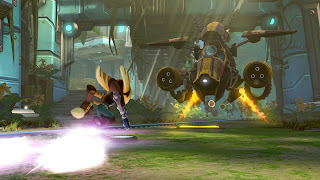 Ratchet & Clank is recently doing such a thing. Two years ago we saw All 4 One, and now we see Full Frontal Assault, a tower defense action game. If you already own the PlayStation 3 version of the game that released this past November, then you already have a code to get the Vita version, do out at the end of the month. You can thank Sony's wonderful (and I don't mean that in my usual condescending way) Cross Buy promotion for that! 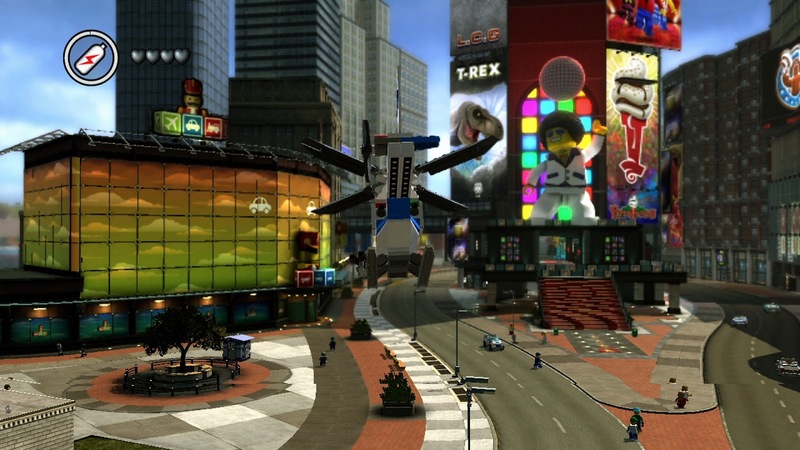 A cult favorite with fans, the Earth Defense Force franchise returns in Earth Defense Force 2017 Portable. While it was also a retail release in Japan, the latest EDF is digital download only in North America. That's alright, pending you have a good-sized amount of memory. 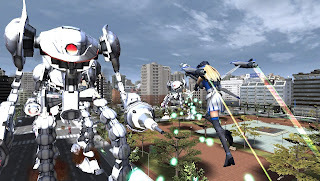 EDF 2017 Portable features a plethora of new content such as missions (which can be played with up to four people), enemies, and other fun items of interest. Unlike the rest of the games on this list, you get Earth Defense Force 2017 Portable now, so what are you doing-- stop reading this article and start downloading now! Tomorrow is our final day at looking at my most wanted games of 2013 announced with a semblance of release dates. For the last day we will be looking at what this very site called the System of the Year 2012, the Nintendo 3DS! 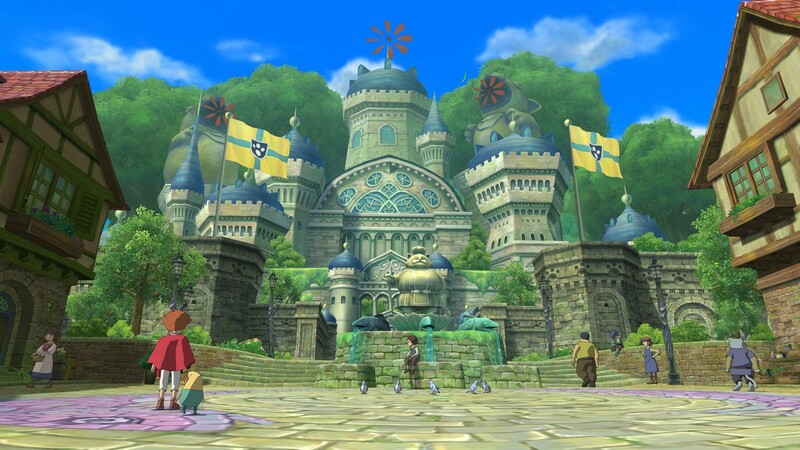 What games will I be yearning for most for the 3DS? Find out tomorrow! We have reached the middle of the week and the middle of this series of five articles. Today we will be looking at the five most wanted PS3 games by yours truly. It really seems like the PlayStation 3's year, and we only known the titles releasing for the first half of the year! 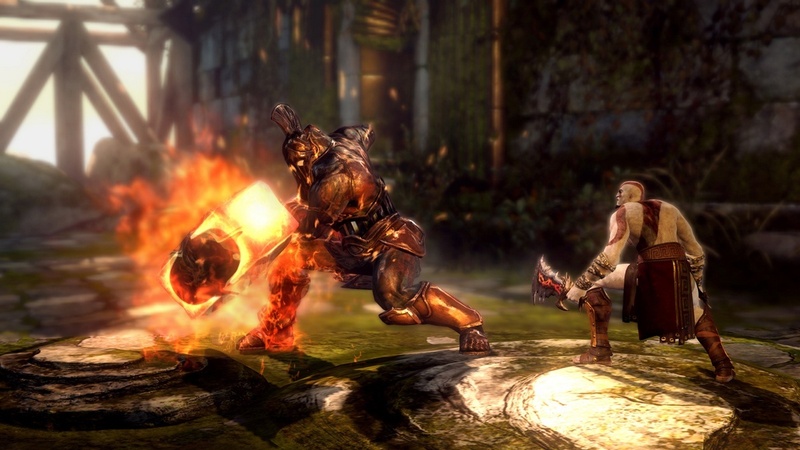 A March release, God of War: Ascension is a prequel to the entire God of War series. It stars Kratos as he does his very best to part ways from the man who tricked him into murdering his family in cold blood. Ascension will give players an entirely new combat and weapon system as well as a first for the franchise, multiplayer. 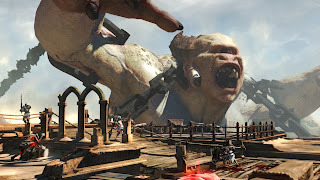 I've been waiting for some big changes to occur with God of War, and Ascension is exactly the type of stuff I have been clamoring for. 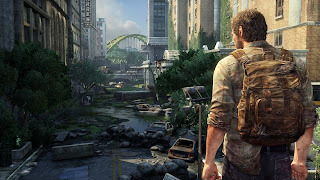 An ultra-violent (though that's not the reason the game appeals to me) survival horror action-adventure game from the studio behind Jak and Daxter as well as Uncharted, The Last of Us takes two survivors through a post-apocalyptic world, fending off the Infected. The reason this game interests me is how enemies will react differently depending on how the player goes about playing through the game, whether stealth, violence, or a combination of the two. 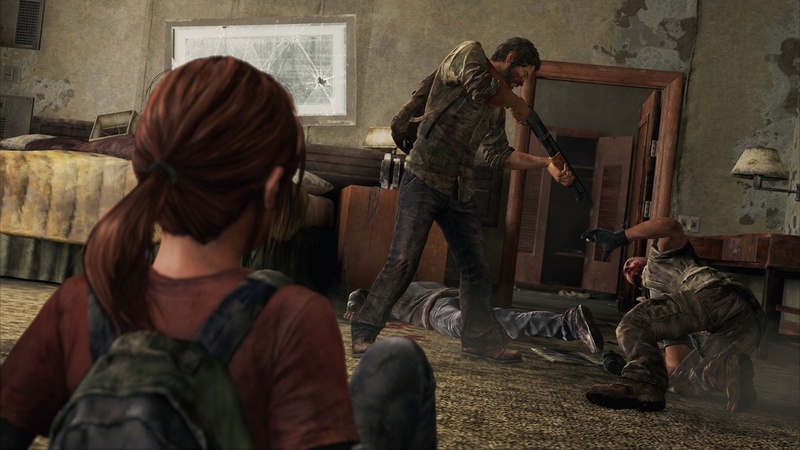 Naughty Dog is known for their cinematic and engaging games, and The Last of Us seems to go along with just that. 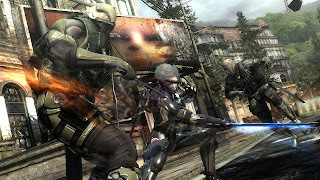 The lone non-exclusive on this list, this game was originally titled Metal Gear Solid: Rising. Kojima Productions came to a dead end in development with the game. The title was secretly cancelled before reappearing in 2011 under the capable hands of Platinum Games as the developer. 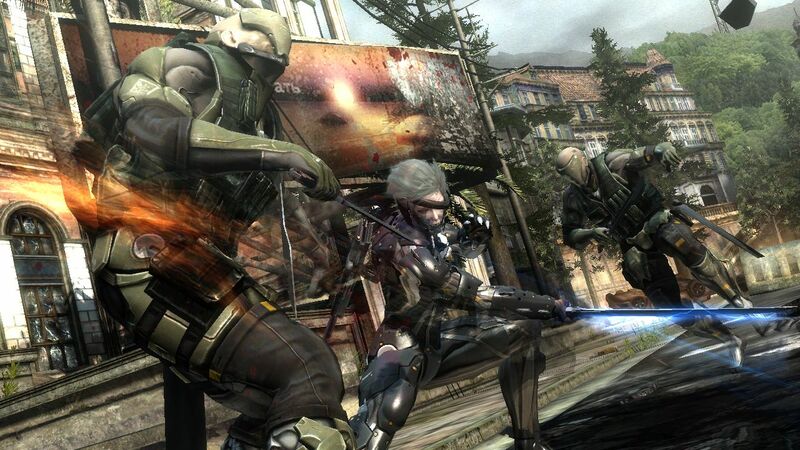 Now the game has a new questionable title, Metal Gear Rising: Revengeance, and a release date for next month. 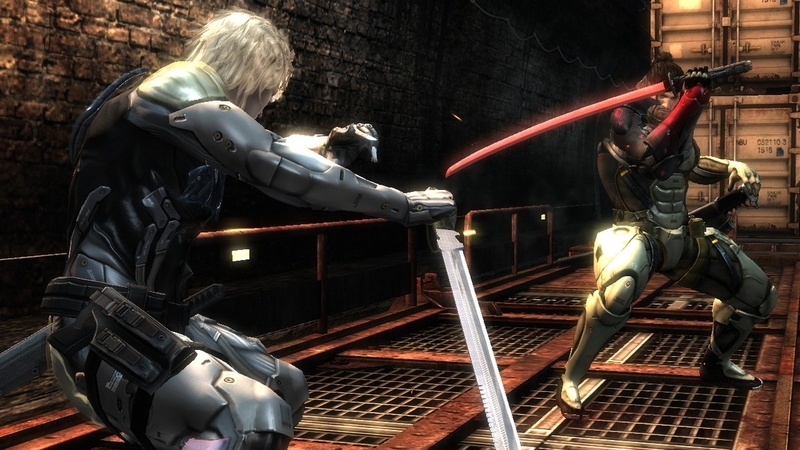 Rather than deal in stealth gameplay, Revengeance is almost entirely an action-oriented affair, having main character Raiden slice and dice enemies and objects with his katana. It's a bold new direction, and one that seriously interests me. 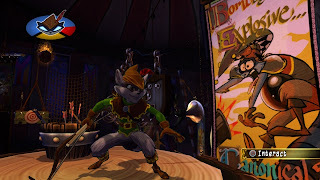 The fourth Sly Cooper game, Sly Cooper: Thieves in Time offers the familiar stealthy platforming action of previous games with new additions included such as costumes for Sly, giving him new abilities. One such costume transforms him into a Robin Hood-esque figure, able to shoot arrows with ropes attached to them, allowing Sly to walk across the ropes over chasms. Thieves in Time will be a part of the Cross Buy program that Sony has in place. Buy the PS3 version and you get it and a download code for the Vita version. That's not too shabby, nor is the $40 price tag. 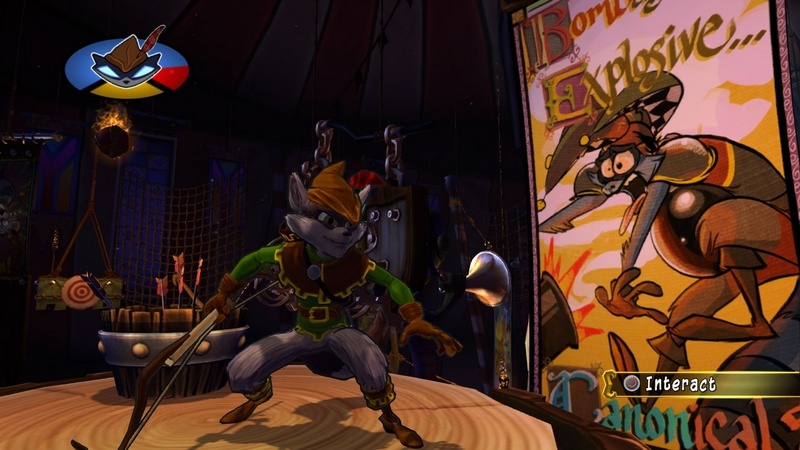 Sly Cooper: Thieves in Time hits store shelves next month. I don't get involved in too many RPGs simply because of their length. Why play through a 200 hour epic when you can play ten twenty hour titles instead and get much more variety? Ni no Kuni: Wrath of the White Witch entices me with its gorgeous art style. It looks like a living, breathing cartoon, and that is all thanks to the artistic prowess of Studio Ghibli, known for their work on such anime films like Princess Mononoke, Howl's Moving Castle, and Spirited Away. This PS3 exclusive seems to have capable gameplay to back the presentation up as well. 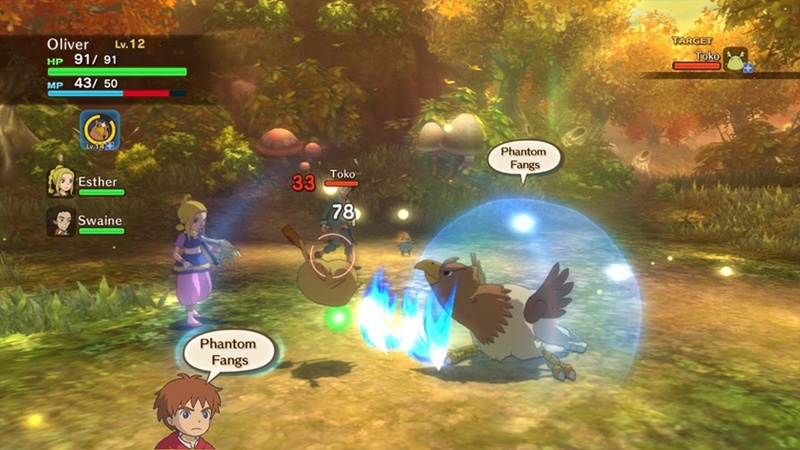 All in all, Ni no Kuni: Wrath of the White Witch is a game on my radar this year. 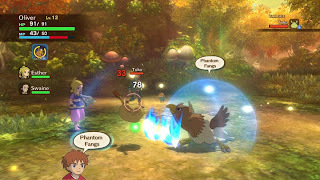 From God of War: Ascension to Ni no Kuni, the PlayStation 3's lineup for 2013 so far is quite lovely. I look forward to seeing what else the year brings for PlayStation the Third. Tomorrow we go from an aging console to a struggling new handheld, the PlayStation Vita. I look forward to seeing you there! Nintendo's first Nintendo Direct of 2013 brought with it a huge announcement. For the first time in series history, a mainline Pokemon game is entering full 3D. There's no better system to do that on than the Nintendo 3DS. 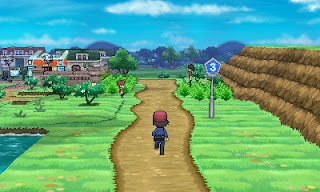 Also for the first time in series history, the pair of new Pokemon game, Pokemon X and Pokemon Y, are releasing worldwide in the same month, October. Most of you who have read SuperPhillip Central for a year or longer know my position on the Xbox 360. I think it is one of my least favorite home consoles I have ever owned, and I believe the list of exclusives pales in comparison to both the PlayStation 3 and Wii. When only one game on this list of most wanted Xbox 360 titles is an actual exclusive, there's something definitely wrong here. Regardless, scope out my five most wanted 360 games for the year 2013. 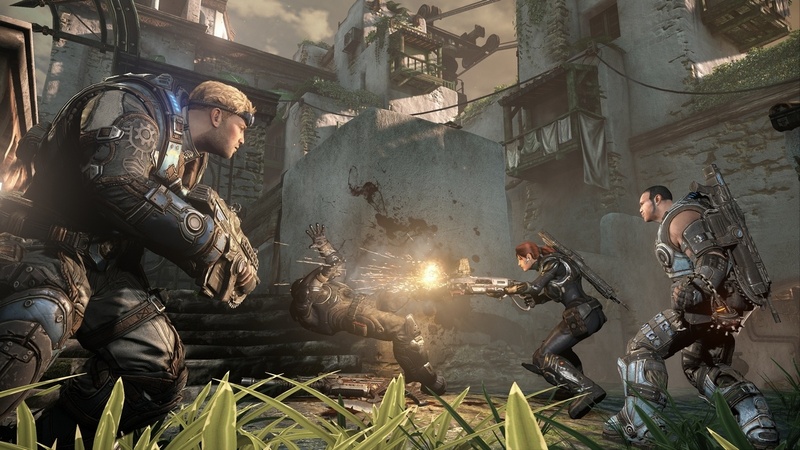 While Gears of War 2 was a complete and utter disappointment for me, Gears of War 3 made me remember what I enjoyed about the third-person shooter franchise. The upcoming March 2013 release Gears of War: Judgment brings with it new characters (as well as old faves like The Cole Train and Baird) and a new story, predating the original Gears trilogy. If the intense shooting action is as fun as two out of three of the last Gears games, Xbox 360 owners are in for a treat. 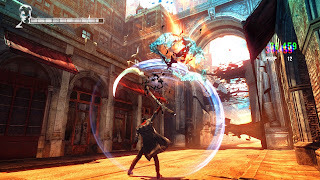 There has been a shower of criticism surrounding the upcoming reboot of the Devil May Cry series, DmC: Devil May Cry. 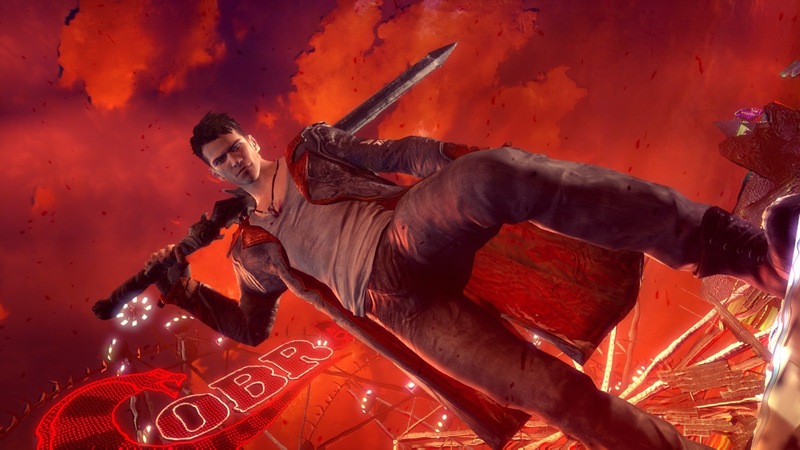 The new direction of the series and the updated character design for Dante are the main targets. However, the early reviews that have been pouring in have stated that the Ninja Theory-made reboot is quite stellar. I look forward to returning to slicing and shooting enemies in one perfect combo and taking down demons with ease with DmC: Devil May Cry when it releases next week. The fight against the Necromorphs is happening once again with Dead Space 3. 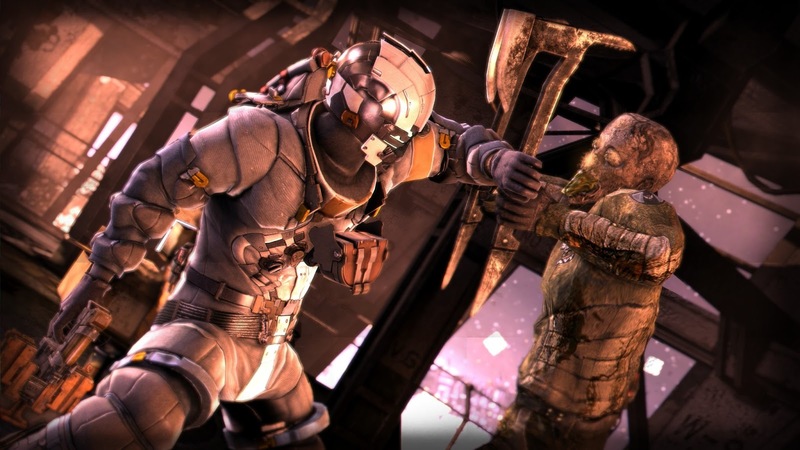 With the addition of rolling and cover elements, Isaac Clarke and Sergeant John Carver have more movement capabilities than ever before. For the first time in franchise history, there will be full-fledged co-op to be had-- the drop-in/drop-out variety. 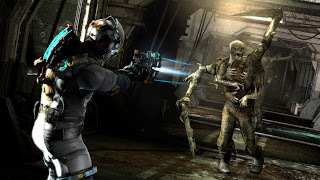 While some lament how the Dead Space series is leaning more towards action than survival horror, I still am excited for the third installment. Dead Space 3 is certainly set to be a dismember to remember. 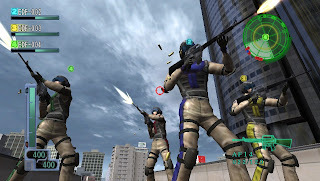 Releasing today, Anarchy Reigns is a pseudo-sequel to the Nintendo Wii's MadWorld. 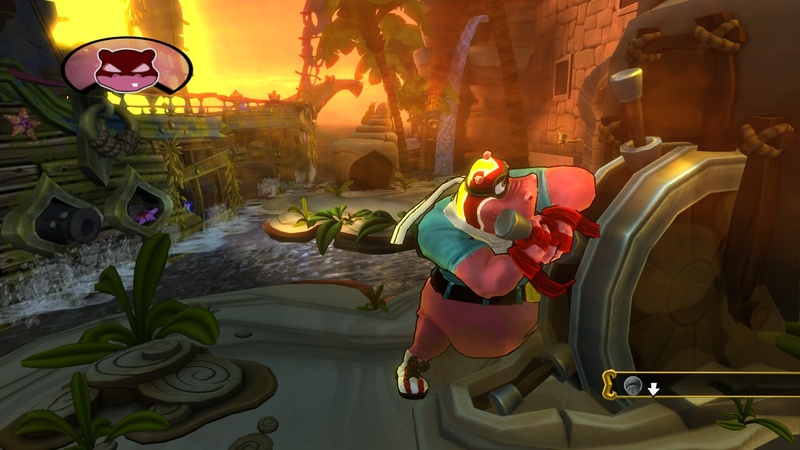 It features many of the same characters from that game and several new ones. This time the world is in glorious color instead of the stylistic monochrome that MadWorld possessed. 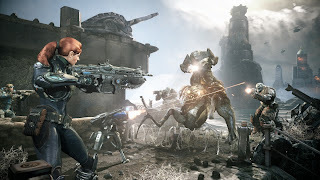 Hero Jack Cayman loves to carve up enemies with the chainsaw at the end of his mechanical arm, and players will most likely love it too. 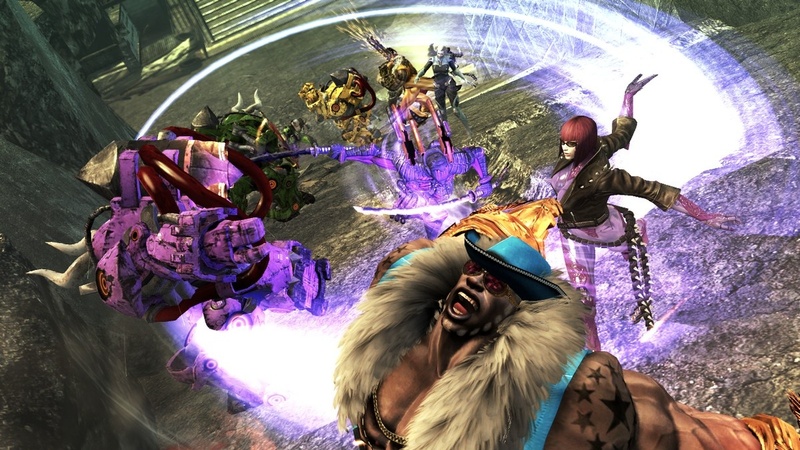 With all-new multiplayer modes and a budget price, Anarchy Reigns is a top title on my Xbox 360 most wanted list. 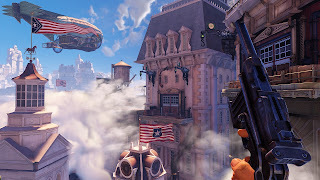 The BioShock series already explored a city in the deep, so why not explore the idea of a city in the sky? That is exactly what the series is doing with BioShock Infinite. Now, the steampunk air city of Columbia would be enough to interest me in the game already, but there's more. Weapons, gear, combat, powers, and role-playing elements all promise a game that will complex and deep, a savory mix for experienced players like myself. 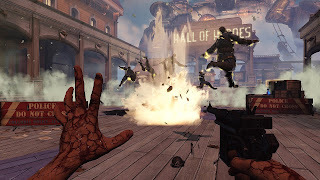 I don't get excited too often about first-person shooters, but when I do, I drink Dos Equis-- no, I mean, I don't get excited too often about first-person shooters, but when I do, that FPS is certainly special. BioShock Infinite appears to be just that. There you have it. Another day and another console's games for 2013 done. Tomorrow I will be sharing my picks for my most wanted PlayStation 3 games. We'll see you then. It's time to start a special week of articles. For the next five days I will be posting my most wanted games for all five current platforms: Wii U, Xbox 360, PlayStation 3, PlayStation Vita, and Nintendo 3DS. Unfortunately for Wii U owners, Nintendo is keeping its announcements for 2013 relatively quiet, which makes it hard to be hyped for games that we don't even know exist yet. Regardless, these five titles listed are those games that are currently and actually announced. No "New Zelda 2013" nonsense or anything of that sort. 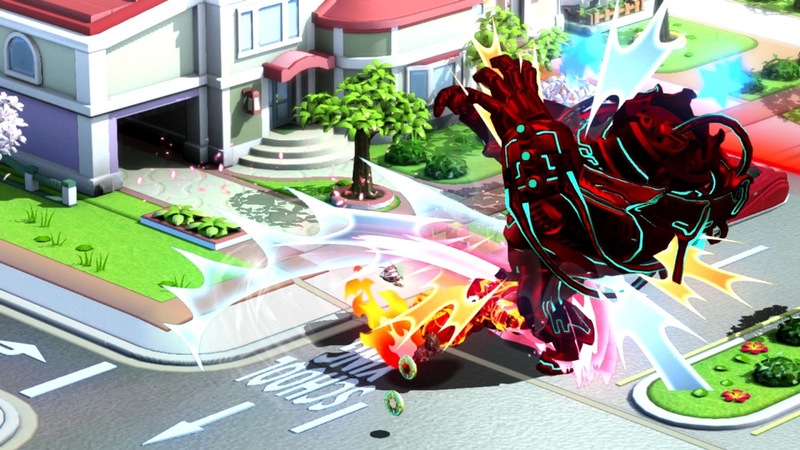 Without further ado, let's see what five Wii U games currently known about excite me most. 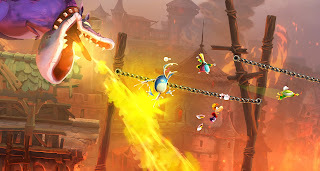 The sequel to the awesome Rayman Origins, the currently Wii U exclusive Rayman Legends takes the limbless wonder to new heights with the Wii U GamePad. Most of the game will be a traditional platformer while the other part will have the player controlling Murfy, assisting an AI or human player through a given level. Taking a genre I absolutely love and creating a colorful and jaw-dropping game makes Rayman Legends a game I certainly cannot wait for. Alas, I must, but at least I can play through the demo on the Wii U eShop a couple dozen more times! 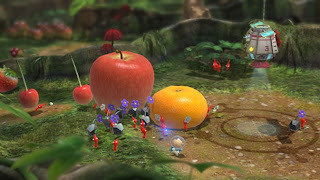 The sole Nintendo-developed game on this list, Pikmin 3 seems to be going back to the original Pikmin's roots, where the entire struggle of Captain Olimar was given a limit of 30 days. 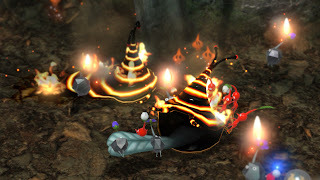 This time around comes two new Pikmin types, four captains to play as, and high definition visuals that look quite glorious, if I do say so myself. Pikmin 3 offers either Wii Remote or Wii U GamePad support. Having some options is seldom a bad thing, and Pikmin 3 certainly does not look like a bad thing either! Nintendo's newest home console will most likely not be getting Grand Theft Auto V, and while LEGO City Undercover is not looking like a total substitute, it is still looking like an enjoyable game. Players take on the role of Chase McCain as he tracks down criminals. Undercover is a sandbox game with a lot of promise, a story that doesn't take itself too seriously, and multiple uses for the Wii U GamePad controller such as scanning the city for bad guys. 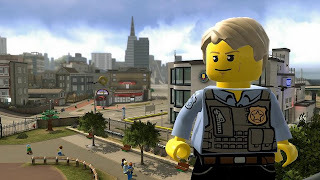 LEGO City Undercover still has a vague release date of Q1 2013. 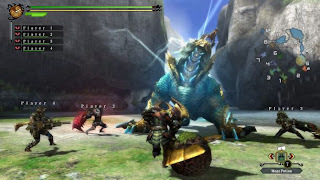 Featuring new creatures to overcome and slay, and a slew of other additions like the return of underwater combat and the G rank, which has new quests, better weapons and armor, and more difficult monsters, Monster Hunter 3 Ultimate is shaping up to a great expansion of the original Monster Hunter Tri. 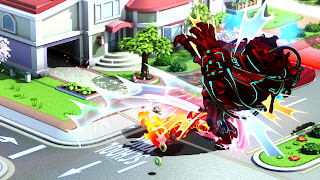 Unlike the 3DS version, the Wii U edition sports online play for up to four players to battle savage monsters. 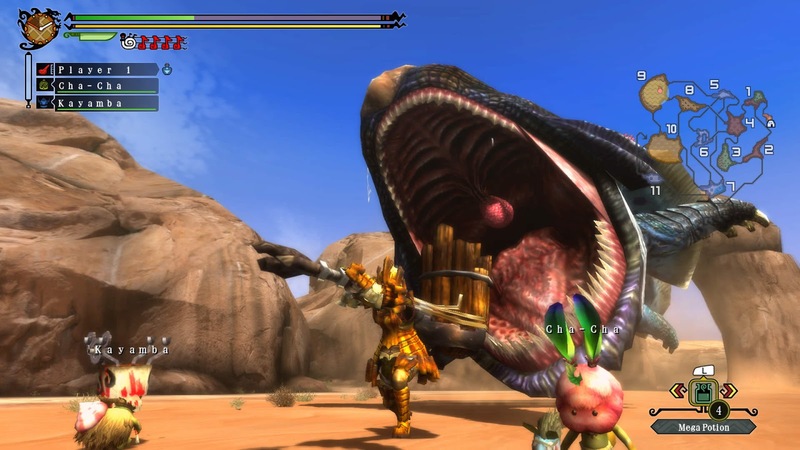 Speaking of both versions, characters can be transferred to and from either game, so you can always be building a better monster hunter. 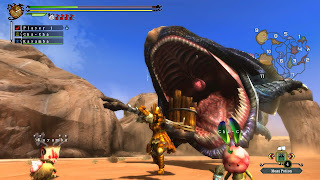 Monster Hunter 3 Ultimate is currently planned for a March release. From the brilliant minds behind Bayonetta, Vanquish, and the upcoming Metal Gear Rising: Revengeance comes The Wonderful 101, a new Nintendo-published Wii U exclusive created by Platinum Games. 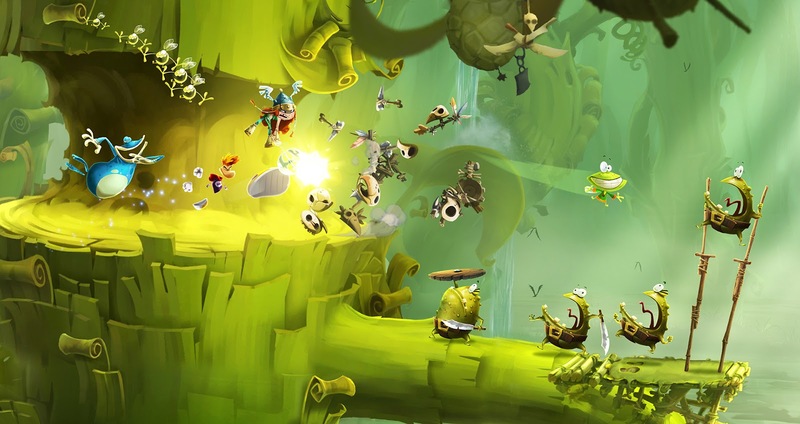 The title seems to be a mix of comic book hero action and Pikmin, allowing the group of 100 heroes to enter various forms like a sword or a defensive blob of gelatin. 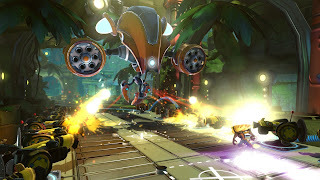 The screens and gameplay videos show fast and furious action with colors that just ooze with vibrancy. 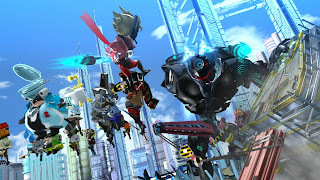 From the fast-paced battles to the game's glorious graphics, The Wonderful 101 is easily one of my more anticipated games for 2013, on any platform. 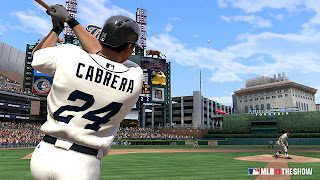 Tomorrow this series of five articles continues with my five most wanted Xbox 360 games of 2013. It's shaping up to be a fantastic year for gaming. I hope you're as excited as I am!